What's wrong with my cat? 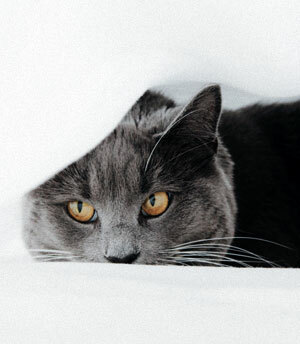 Common cat health problems and illnesses. Why is my cat sick? Common health problems in cats. Article by Dr. Becker. Dated 29th June 2015. Have you ever thought something was a little “off” with your cat but you couldn’t quite pinpoint it? Maybe she was eating less, sleeping more, or avoiding you. Maybe she was sitting or lying in an awkward position, or her movements were halting or hesitant. At some veterinary clinics, these cases are referred to as “Ain’t doing right,” or ADR, to describe nonspecific symptoms that may or may not indicate an underlying disease. In cats 10 and older, the most frequent causes of ADR are different than those seen in younger kitties. They include oral disease, kidney disease, degenerative joint disease, hyperthyroidism, diabetes mellitus, and cancer. Diseases of the mouth, including gum disease, exposed roots, tooth resorption, stomatitis, and oral masses are common in cats of all ages, and particularly older kitties. The pain associated with many of these conditions can negatively impact your pet’s quality of life, and also contributes to lack of interest in eating and weight loss. Daily tooth brushing and professional cleanings by your veterinarian if required are the best way to keep your cat’s mouth healthy and disease-free. 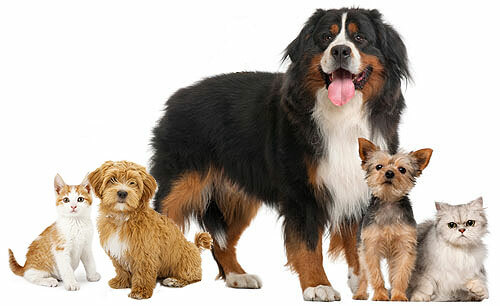 They are also important for pets with chronic conditions such as diabetes, heart disease, and kidney failure. Veterinary dental cleanings require general anesthesia, because a thorough oral exam and cleaning can’t be accomplished on a kitty who is awake. It’s dangerous to use sharp instruments in the mouth of a conscious animal, not to mention the procedure is extremely stressful for the cat. Many people believe their cat is simply too old for anesthesia – this is a very common misconception among cat guardians. Age itself is not a disease, so if your pet is otherwise healthy, his age won’t increase his risk of anesthetic complications as long as your vet has up-to-date, advanced anesthetic monitoring equipment, and is using the correct anaesthesia protocols for your senior cat. 10 and older have the disease. Once CKD is diagnosed, it is irreversible and can be difficult to manage. Treatment is supportive and involves trying to slow the progression of the disease through dietary changes, fluid injections, and other therapies. To help prevent CKD, I recommend feeding high-quality protein in its natural, unadulterated form (canned or raw food) as soon as a kitten is weaned. This will provide a moisture-rich diet for the cat’s lifetime, which will take tremendous stress off the kidneys. In kitties already diagnosed with kidney disease, a diet high in excellent quality protein and lower than normal amounts of sodium and phosphorus is recommended. Cats with kidney disease do best eating high-quality, human grade canned food or a fresh, balanced homemade diet. If your CKD kitty is still eating kibble, I encourage you to try to make the switch to a moisture-rich diet, if possible, to help nourish the kidneys. Most importantly, cats with kidney disease must continue to eat, and unlimited access to fresh water should always be provided. In a recent study of 100 cats 12 years of age or older, as many as 90 percent had degenerative joint disease (DJD), with the elbow being the most common location. DJD causes chronic pain in kitties that their guardians often don’t notice or write off to normal aging. Specific signs to watch for include reduced activity, difficulty jumping, lameness, and hair loss at the affected joint due to over-grooming. Kitties in pain from DJD may also lose theirdegenerative appetite, eliminate outside the litterbox, be irritable or aggressive, and less social. Unfortunately, because cats are so physiologically unique, there are very few safe, effective pharmaceutical pain relievers that can be given long-term to control chronic conditions like DJD. There are also certain supplements you can try adding to your cat’s diet that provide the raw materials for cartilage repair and maintenance, including glucosamine sulfate, perna mussel, MSM and egg shell membrane; homeopathics, based on your kitty’s symptoms, but may include Rhus Tox, Bryonia, and Arnica; ubiquinol; turmeric; spirulina and astaxanthin; natural anti-inflammatory formulas such as proteolytic enzymes; EFAC complex; and krill oil. 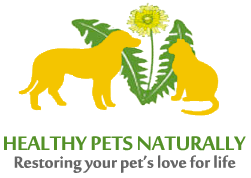 I recommend you work with a holistic veterinarian to determine how to best treat the inflammation and pain caused by your pet’s DJD, as well as how to nourish remaining cartilage. Feline hyperthyroidism has reached epidemic proportions in the US, with over 10 percent of kitties over the age of 10 diagnosed with the disease. About half the cats that develop hyperthyroidism have an increase in appetite. About 90 percent ultimately lose weight because the disease causes an increase in metabolism rates. Other symptoms include high blood pressure, frequent vomiting, increased body temperature, heart and respiration rates, and hyperactivity. A combination of increased appetite, weight loss and sudden, unexpected bursts of energy in an older cat is a sign you might have a kitty with hyperthyroidism. Make an appointment with your veterinarian as soon as possible. The disorder can be diagnosed with a simple blood test. Feed a balanced, preferably raw, species-appropriate diet. If you prepare a balanced, homemade diet for your cat, you have complete control over iodine levels in your pet’s food. Iodine levels in cat diets have been linked to hyperthyroidism. Avoid feeding your cat a fish-based diet. Seafood is a very rich source of iodine, but cats aren’t designed to process a lot of iodine. Rid your environment of flame retardant chemicals (polybrominated diphenyl ethers, or PBDEs ). Recent studies have linked these chemicals in house dust to the growing problem of thyroid disease in pet cats. I also recommend checking your cat’s thyroid levels annually after the age of 10. Diabetes mellitus is another all-too-common disease of older cats, and is especially prevalent in kitties fed carbohydrate-based dry food diets. Unfortunately, many veterinarians continue to recommend commercial or “prescription” diets for diabetic cats. These foods typically contain a small amount of rendered protein and a tremendous amount of fiber. A diet deficient in high-quality protein will force a cat’s body to metabolize its own muscle, which contributes to muscle loss and the rear limb weakness characteristic of diabetic neuropathy. diabetes have spent their lives eating processed commercial pet food – typically kibble – it can be an insurmountable challenge to transition a sick kitty with little or no appetite to a new diet. Ensure your kitty is eating well each day, and if that means continuing to feed dry cat food, that’s what you should do. Just make sure to also encourage him to eat some canned food as well for the added protein and moisture it provides. With proper treatment (which almost always includes dietary changes), many diabetic cats can achieve remission. Another big contributor to feline diabetes is obesity.Pets become overweight through a combination of an inappropriate diet, lack of portion control, and not enough calorie-burning physical activity. If you want to do everything possible to prevent diabetes in your pet, you should focus on keeping your kitty lean. Malignant neoplasms, including extranodal lymphoma (lymphoma that is external to lymph nodes), mammary carcinoma, and squamous cell carcinoma of the mouth or skin, are common in aging kitties. To help your cat avoid cancer, it’s important not to expose her to cigarette smoke. Studies link secondhand smoke to a significantly increased risk of malignant lymphoma and oral squamous cell carcinoma in kitties. Cats should not receive annual vaccines, in my opinion. Unnecessary vaccines introduce antigenic adjuvants that contain heavy metals which can cause immune system imbalances in cats over time. Studies also show that obesity increases cancer risk, so it’s important to keep your cat lean and fit throughout his life. Inflammation can also lead to cancer. Inflammation is produced from a number of different causes. I always focus on diet first because we know there are foods that are pro-inflammatory and foods that are anti-inflammatory. Pro-inflammatory foods create an inflammatory response in the body, and for kitties, a pro-inflammatory diet is one that is high in carbohydrates. The best diet for cancer prevention is a diet that provides the nutritional components required to maintain healthy cells and repair unhealthy ones, so avoid foods that contain GMOs and feed as much organic, chemical-free/preservative-free food as possible. Since carbs are pro-inflammatory nutrients that feed cancer cells, you’ll want to avoid feeding your cat processed grains, fruits with fructose, and starchy vegetables like potatoes. As with any disease process, we want to diagnose cats with cancer as early as possible so that a treatment plan and/or palliative care can be initiated to help the kitty live as long as possible and with a good quality of life.